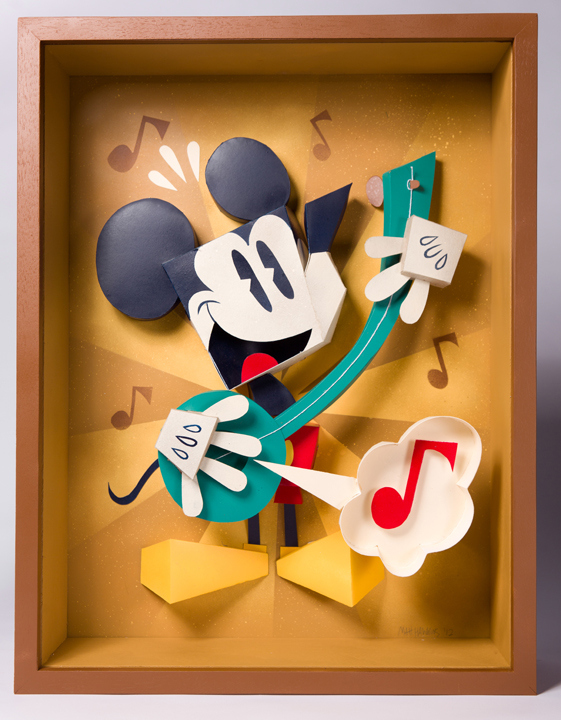 Here is my Mickey piece "He Sings, He Dances" for the WonderGround Gallery that opened it's doors this weekend in the Downtown Disney® District. 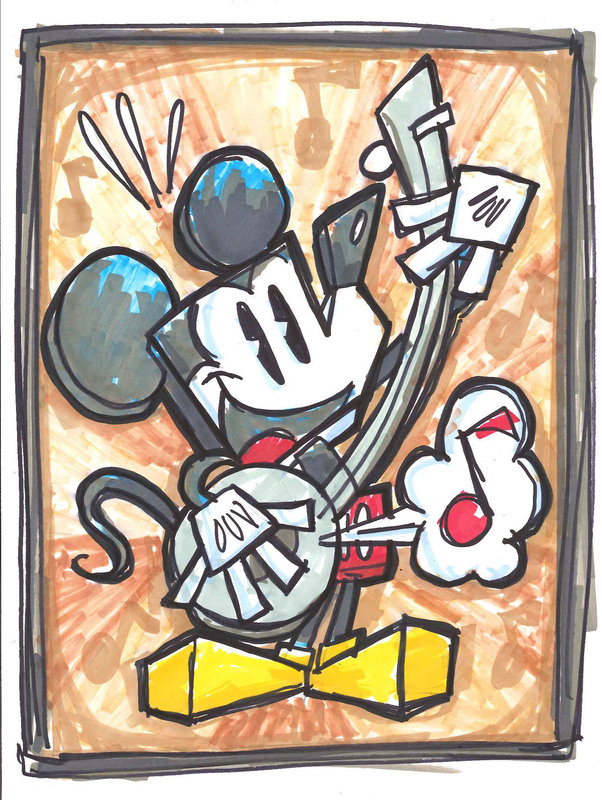 I love the old musical Mickey Mouse cartoons so that was my inspiration for this piece. It's about 2 feet tall and made mostly of chipboard, spray paint and colored paper. More info on the WonderGround Gallery here.